One of our goals is to introduce you guys and us to new and upcoming designers who are creating some of the most creative and interesting pieces in the industry. We first took notice to Ron Louis’ work when we saw his “DESIGNER” tees and hoodies on G.O.O.D Music signee Valee. 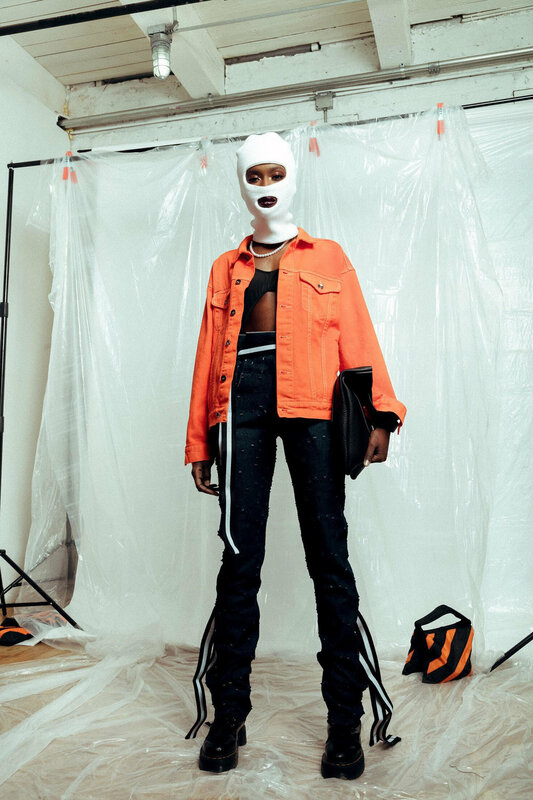 Now, Ron Louis is back with a new “DESIGNER” Capsule and it’s edgy and Chicago af. Phera: ‘DESIGNER” Capsule 2 was Inspired by the streets and creative field of hard working individuals and of course the Chicago weather. The capsule includes a new and improved “DESIGNER” heavy embroidery hoodie and a balaclava. We also see a safety orange long sleeve tee and cut and sewn denim jacket. There will be more specialty items to be released shortly after the drop that include cut and sewn joggers, waxed knit pant, DESIGNER bodysuit and a leather short handle DSNR Tote. Stay tuned to when you can shop the capsule. In the meantime,enjoy the lookbook and current pieces available online now.